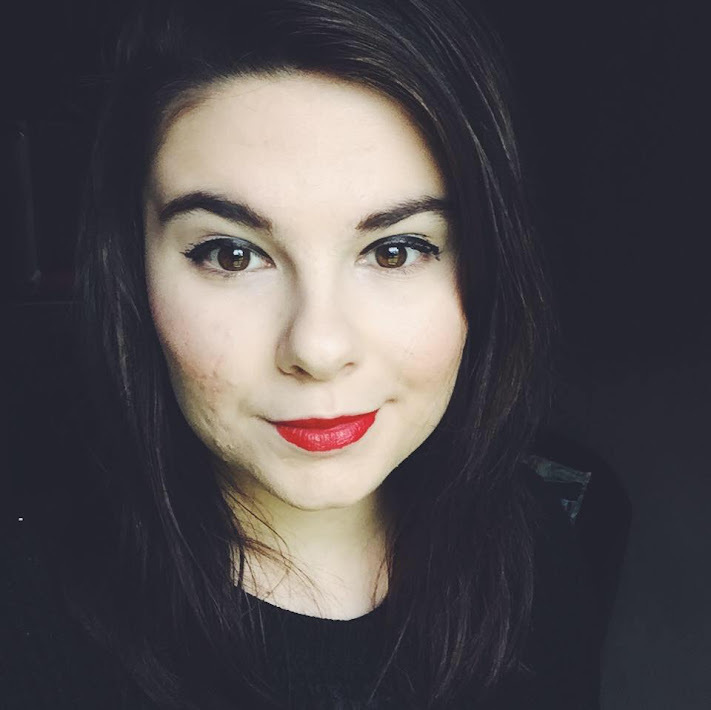 Hello again - this weeks blog post is going to be a good old beauty related one. As some of you may know (or not know..) I work for LUSH which is a handmade cosmetics company and have been for just over 3 months now. This year, LUSH celebrated their 20 years in business since they opened in 1995 and have grown year by year. They are constantly bringing out or creating amazing new things, one being the opening of the Lush in Oxford Street, London. Lush, Oxford Street opened earlier this year and is home to more than 200 exclusive products. Since then, they have decided to introduce some of these new products to other stores so keep your eyes peeled for them in the next month or two! 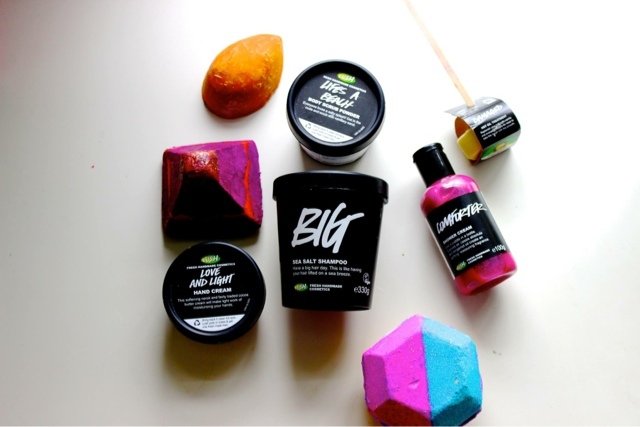 As I am an employee, I was really lucky to receive a staff box of lush goodies which introduced me to some of the lovely products that Oxford Street are selling. I haven't got to try all of them yet but I thought I would share with you all what was in the box and give you an overview of what they are like and what is in them. To start of is the Love and Light Hand Cream - oh my goodness, this smells A-MAZ-ING. This lovely light cream with Orange Blossom is treat for those working hands, leaving your skin feeling like a silky glove. It contains fair trade Cocoa Butter to soothe and moisture your hands whilst having a beautiful blend of zesty orange oils, such as Brazilian Orange and Orange Blossom combined with Neroli to brighten up your skin and mood. Definitely give this one a try, I promise you, you'll be sniffing your hands every 10 seconds. A good old trusty favourite has been re-designed for Oxford Street. The Karma Bubble Bar has now been made into a lovely purple pyramid which has a orange detail around the edge with glitter on top (Perfect!) - this one contains again Fair Trade Cocoa Butter for giving your skin some extra moisture whilst having a invigorating lemongrass scent to perk you up. Other ingredients include Orange, Patchouli (the signature scent!) Pine oil, extra Virgin Olive Oil - lots of oils to leave you feeling soft and luxurious. 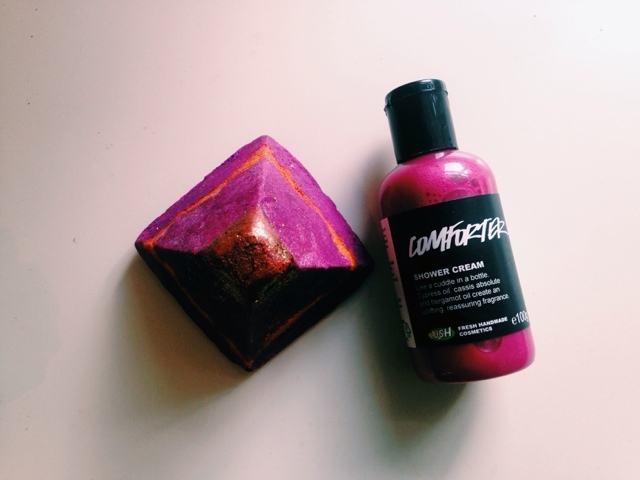 Sharing the same fragrance as the forever loved bubble bar, The Comforter Shower Cream is not one to miss! Putting this all over your body is like welcoming yourself to a massive berry hug. It contains Blackcurrant, cypress oil and sweet cassis absolute giving you a fruity embrace with bergamot oil to uplift you, making you feel alive and refreshed. All contains a Vanilla Infusion with Almond oil for moisturising. A motion picture for your bath, The Experimenter bath bomb is a rainbow in water. It gives of vibrant colours whist it slowly fizzes, pops and contains a gold glimmer lustre to give you the most enjoyment come bath time. The fragrance is of fair trade vanilla absolute, vertivert and tonka. *This bath bomb was the last one to be created for the New Oxford Street Store. Life's A Beach Body Scrub Powder was a bit of a weird one to get my head around as when you open the pot it just looks like sand. This product actually comes in a box and works in the same way as if you were putting dishwasher powder into your hand. Pretty cool huh? You can use this in the bath and shower as a scrub to exfoliate. Packed with Vanilla absolute, sea salt and sand you are treated to really affective scrub that just makes you think of summer from the first smell! *If you like Vanillary, you'll like this one! Pumice Powder Foot Soap is the new scrub pumice bar that will help remove tough skin on your feet. Has Rapeseed and coconut oil for moisturising and orange oil to brighten, refreshen and rejuvenate from heels to toes. Just add water and scrub away. Inspired by Belgian Hot Chocolate on a stick, this 'Damaged' hot oil treatment is a completely new concept from Lush. This sweetly scented hair treatment is perfect for over processed, bleached, straightened or blown hair. Has avocado oil and olive oil in to add moisture, stimulate new hair growth and increase strength whilst Almond oil is added to give shine and softness. 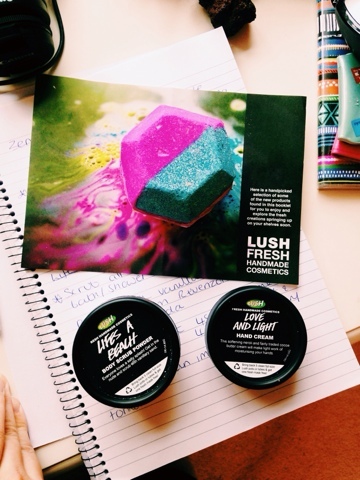 *This post is not sponsored - I do work for LUSH. However, they did not give me this box or pay me to talk about these products. I am really passionate about the brand and I would of written this blog post regardless of me working for them.